You made an excellent investment in your oral health and your quality of life by choosing dental implants in Tullahoma to replace your missing teeth. After your implant posts were placed, you have spent the last several months healing. While it may have seemed like a long time to wait, now your new smile has the foundation it needs to enjoy the security of having your jawbone fused to the posts. Although it may have felt like the day was never going to come, it is now time to undergo the 3rd stage of your treatment by placing your restorations. What’s the Procedure for Placing a Dental Implant in Tullahoma? Now that you’ve undergone the initial consultation process and Dr. 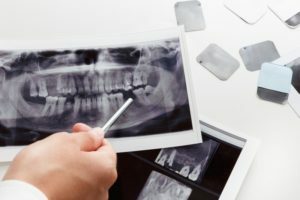 Petty has determined you have enough healthy bone to receive a dental implant in Tullahoma, the next step is to move forward to have your missing tooth replaced, but what does that entail? That question is answered in detail as you continue reading. Comments Off on What’s the Procedure for Placing a Dental Implant in Tullahoma? Restoring a smile with dental implants is often a lengthy and delicate process that involves multiple steps. If you’re preparing to undergo this remarkable restorative treatment, you may want to learn more about the journey ahead of you. 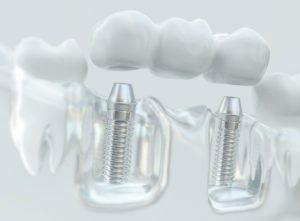 This article is the first in series of three that explores the steps you must go through to complete the dental implant process. In this piece, we’ll discuss the initial consultation and how your dentist prepares your mouth to receive a dental implant in Tullahoma. Every mom’s goal is to get that perfect family photo, but what if your household’s smiles aren’t so perfect? Whether you think your family’s oral health needs room for improvement or not, oral hygiene for you and your kids is more important than you think. 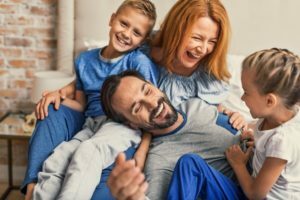 Your family dentist in Tullahoma will explain some helpful tips for how all your loved ones can maintain great oral health and keep smiling confidently throughout every photo opportunity. Choosing a preschool, choosing a trustworthy babysitter, choosing outfits in the morning and choosing what to cook for dinner in the evening: parenting is filled with decisions both small and large every day. Fortunately, choosing a family dentist does not have to be a difficult decision to make. Here are 7 questions to consider when searching for a family dentist in Tullahoma.